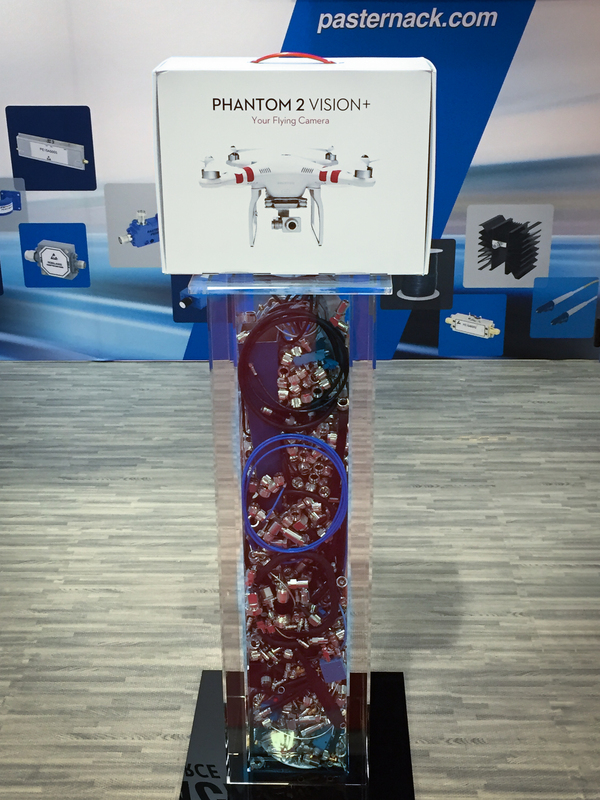 IMS 2015: Did We Mention a Chance to Win a Drone When You Visit Our Booth? Come visit Pasternack at the IEEE IMS 2015 Phoenix, AZ trade show expo for a chance to win a drone. We are exhibiting at the International Microwave Symposium (IMS) 2015 trade show expo floor. Stop in at booth 3214 at the IMS show and take a guess at the number of RF components. We hope to see you there.